What would you prefer? A church were you can have the best worship experience or a church that looks amazing? The organist of this church pulled every stop, pushed the peddles all the way down and the he had trouble hearing the organ just 20 feet away. At the back of the church at the sound booth, the organ was barely audible. I used a SPL meter, put it about 3 feet over my head at the back of the church and the congregational singing peaked at 105dB several time during a familiar hymn. There was no one behind us. There have been other times at other church where I designed or upgraded their acoustics were the congregation is singing acapella and they were peaking at 106dB. The good news is, singing like that doesn’t hurt your hearing. The goal of any worship space and the church sound system is not about loudness, gain before feedback, intelligibility, special sound effects for the organ or choir, having the most talented performers in the worship team, how many wireless mics, number of channels the mixer has or the name brand of equipment you have. The goal of a church worship space and the sound system is to be a safe place where the Gospel can be presented clearly and with little to no blemishes. Where every person within the worship space can hear and understand the Gospel as clearly as when having a conversation with someone only 4 feet away and sharing the Gospel. Anything less than that goal means that the spoken word can be corrupted in the journey between the minister’s mouth and ears of all those who are listening. The Gospel needs to be broadcasted and understood as clearly as reading God’s written words. If your church has hot spots, dead spots, good sound in these seats and poor sound in those seats, then the Gospel is not being presented equally to everyone. If your sound system has technical problems during worship often, then it is a distraction, and it can make the difference of understanding something important. The chart below shows tangible results when your worship and sound system are tested. There should be three tests. The first is with a test speaker. It is a point source speaker that is small enough to mimic a person’s voice. The next test is feeding a signal directly into the sound system and test those results. 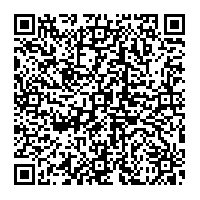 This test is just about the playback quality of your sound system. The third test is to use the test speaker 30 inches from an open microphone such as a pulpit or any microphone on a stand and test the combined results of the worship space’s acoustics direct interaction of the sound system and open mics. You can also do a second version of this test and place the test speaker 4 inches from a microphone where the microphone is 45 degrees off axis. You can get your church tested. It doesn’t cost much, and the results can save a life or many lives, depending on your point of view. As an independent consulting company, we offer church testing and results with no obligation to use our services in the future. There are three key parts to what happens in church worship. There is the spoken word, there is collaborative/congregational singing, and there is performance singing. For a worship space to support these three events where speech is first, then congregational singing and performance singing, you need a specific design and dimensions to support these functions well. High-quality speech should not come at the expense of the music. Music should not come at the cost of speech. There is a balance and part of that balance is to have enough ceiling height to support both speech and music in a contained space. Unfortunately, churches these days are building lower and lower ceilings in their worship spaces. 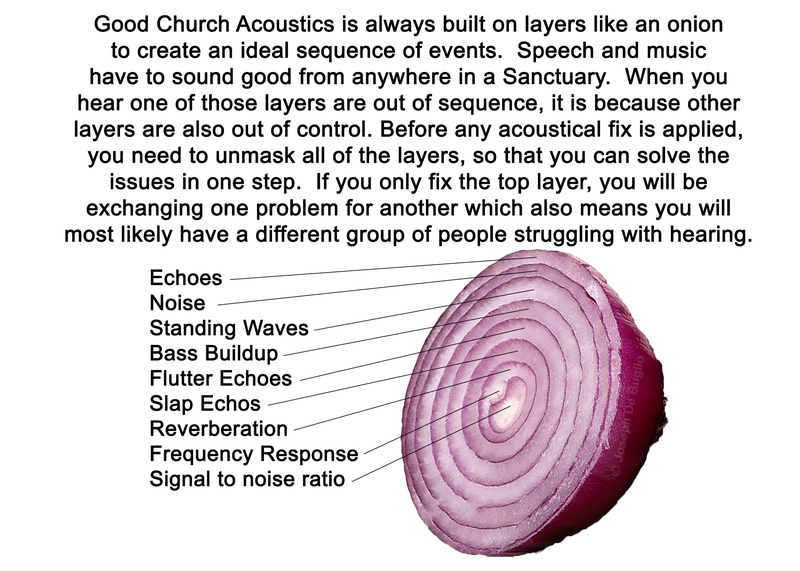 A person can assume that when so many churches have experienced only poor quality acoustics, many wonder what is the point of building a taller worship space. When a church builds a low ceiling, it limits congregational singing and it makes you more dependent on technology, but guess what! 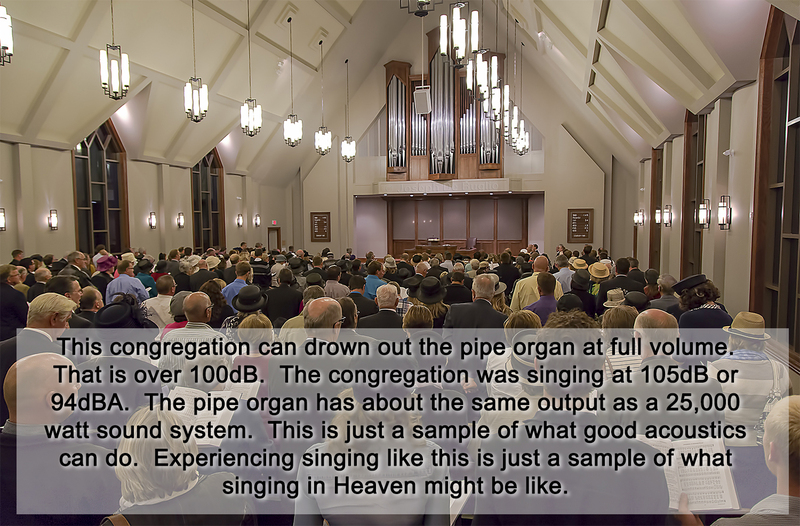 The same things that limit congregational singing are what also limits the performance of the technology we affectionately call the sound systems. So, instead of getting 100% out of your high quality overpriced expensive sound system, you’re getting only 40 to 60% of the sound systems true performance abilities. It is actually cheaper to build higher than the added cost of un-needed audio technology to make up the difference. 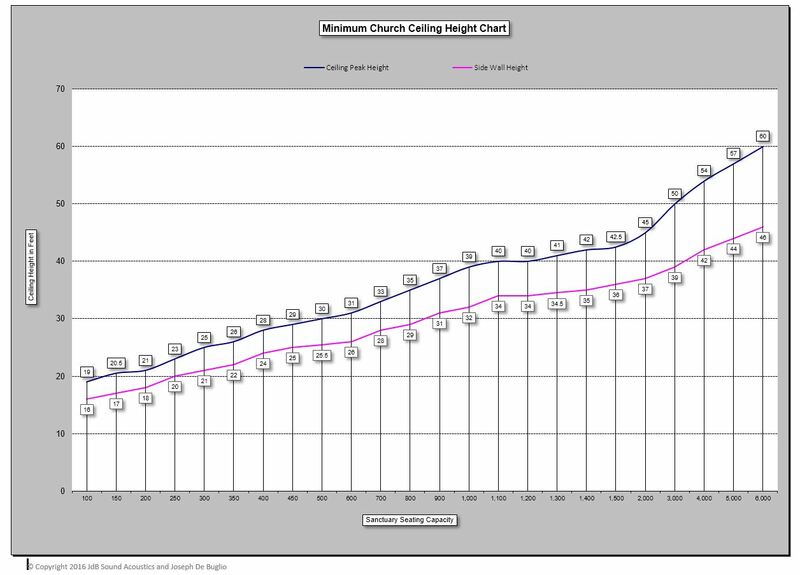 The chart below should clear the air as to the minimum height your next church should be. If you can afford to build higher, do it. Also, a taller worship space does not mean being stuck with longer reverb times. A higher ceiling means natural room reverberation can be adjustable and tune-able. With a taller ceiling, you can change the frequency response of the whole room without needing a sound system or equalizer. Church height is important for a worship space. One of the biggest parts of worship is singing. Congregational singing to be specific. When singing as a group, several elements are required for a good and healthy worship experience. There is chorusing, harmony, sound volume or loudness of the singing and being able to hear yourself as well as the people around you. When all of these elements are in balance, the worship experience is like no other. The majority of people get a lot of satisfaction from the singing experience during worshiping in rooms that have ceiling heights that match the size of the seating capacity of the worship space. The above chart are minimum interior ceiling heights. If you want to build higher, you can as the singing experience gets even better but the improvement is more subtle. High ceilings allow for better sound system performance with less expensive sound equipment. (A lot of pro audio contractors, installers and equipment manufacturer don’t like hearing this.) Higher ceiling permits better gain before feedback and it becomes easier to isolate drums and floor monitor. The performance of the sound system is much better too when that is coupled with a good quality acoustical management system. There are economic advantages too. The higher the ceiling, the cheaper it is to heat and cool when using a vertical displacement HVAC type system which is specifically designed for large gathering spaces for people. Such systems cost less to install, they use smaller HVAC components and cost about 30 to 40% less to operate. In addition, the cooling systems last 2 to 3 times longer before needing to be replaced. *Note* In most countries that have freedom of religion laws, the worship space portion of a church building has no roof heights limits regardless of local city building height restrictions. **Note** The data is based on 2800 churches from North America, Europe, Philippines and Central and South America. Dead Spots – Sound System or Acoustics? An unwelcomed guest in any church is Mr. Deadspots. Unfortunately, deadspots in churches are more common than you think. There are two main types of deadspots. Some are frequency related/comb filtering interference and others are dips in sound levels greater that 6dB created by the room. It is common to see frequency related deadspots in Left/Right sound system regardless if they are Line Arrays or point and shoot speakers. These deadspots are created by interference patterns in a mono speech system as a persons voice is always mono. These deadspots are where you shift from one foot to another and notice a sound change. In these cases it becomes a problem when on one foot you hear the highs but not the lows. When you shift your position onto the other foot, you hear the lows and the highs disappear. People with hearing aids or early stages of hearing lose notice this the most. People with good hearing notice the change too but learn quickly to put up with it. Some young people think of it as a passive noise filter. If the music is too bright, stand to one side of your seating position. If the music is too boomy, shift to the other side of your seating position. Really! Isn’t that like buying a headset and controlling the sound changes with what angle you tilt your head. It might sound like a great idea until you find yourself with a lot of neck pain. No thank you. Sound level dips are usually acoustically related. These are created with standing waves, bass building up, hollow walls, room corners, and parallel surfaces that include walls, ceilings and floors and concaved surfaces. In all of these cases, often mid and bass energy build up and the highs are absorbed with carpets, padded pews and people. By the nature of churches and how they are used, carpeted floors and padded seating often represents how the church sounds when it is 50% full. That means that if your attendance is often over 50%, the effects of padded seating and carpeted floors has little to no impact. If church attendance is often over 70% a carpeted floor makes the room more intimate during times of prayer and solemn reverence. In the end, carpets and padded seating is a good thing. However, because of people in the room, once that room attendance is above 50% the people absorb enough highs that extra mids and bass energy is left behind as is being amplified between parallel surfaces. This excess energy automatically masks the highs. When the highs are masked, speech and music intelligibility drops. The kicker is, if you go around the room with a sound level meter, often the sound levels don’t drop much, even when you stand in a spot where the highs (when you measure just the highs) drop off over 6dB. That is because the excess bass energy is so strong that it fools the sound meter as the meter is reading an average sound level. When you take sound level readings by frequency, then you notice the high number of deadspots in the room. Get a tone generator in a cell phone or computer app and play a constant tone at 55dB at 500 Hertz, 1000 Hertz and 3000 Hertz and then start walking around. At 500 Hertz you shouldn’t notice much of change until you get close to walls. At 1000 Hertz you will notice more changes. At 3000 Hertz, if you are hearing a lot of changes, imagine what 25% of your church audience is experiencing. Here is a church that had both acoustical and sound system created deadspots, with a central cluster. By nature of a central cluster, in a good room, it gives the best coverage and performance for speech. There is no better way to design a church sound system unless your ceiling is less than 14 ft. high. Choice of speakers, coverage patterns and speaker placement impacts sound too but these are mainly tone qualities and gain before feedback related. It may have up to a 2 or 3% impact on overall intelligibility as well. In this church example, it already has a fairly good quality speaker system in the ideal location for the room. It is designed as a central cluster and by nature, in this setup, it should perform well. However, it didn’t matter if you used the main speaker system or used portable speakers on stands, with any sound amplified you could find deadspots all over the room. On top of that, if you raised your voice in the room, once you were more than 18 feet from someone, understand what was being said was difficult to impossible depending on dictions of the person talking and how good is one’s hearing. When the proper acoustical fix was applied, all of those problems went away and the church didn’t need to upgrade the speaker system. The church decided to leave the sound system alone as the gain before feedback improved and all of the deadspots disappeared. Since this is a traditional church that has no intentions to do anything contemporary, the acoustical fix was designed to not change the overall reverb time. Before and after reverb time remained about the same. 1.7 seconds. It was the frequency response of the room that saw a major change. As the graphs shows below, where the mixer for the worship space was located, it was also one of many spots where weird measurements were recorded before. We found dozens of spots where the room measurements went squirrely. This is typical of the results of measuring a Left/Right speaker system, not a cluster system. These weird results were a result of room acoustics and not the sound system. We used our own test speaker for all room testing. After checking our test equipment for errors, it was then realized that by just moving the mic over a few inches, you would get a very different result. In some places, the sound was perfectly fine but move over a few inches and it was not. Our ears are about 8 inches apart. In one row of seating, the largest distance we could move the test mic between a good spot and bad spot was 14 inches. Pew seating is 18 inches. Every seating position had both good and bad sound. What we were measuring was sound masking in the mids and lows. The energy was so strong that it masked the highs. Not only that but the highs were most likely also being canceled from nearby wall reflection between 1800 to 5000 Hertz. It gave the impression that there was something wrong with the sound system. In this church, people marked their seating positions by placing personal pillows in spots where the sound was better. Sure enough, testing these spots showed better sound before the acoustical treatment was applied. After the acoustical system was installed, the sound was the same no matter where you sat including the sound booth. Deadspots in churches are more often a result of worship space design and not a result of sound system design (unless you have the wrong speaker system design for your room). When a church replaces a well-designed sound within 10 years, and have little to no overall improvement after an upgrade, that should be a BIG RED FLAG that you most likely have a serious acoustical problem and no amount of money spent on the sound system can make those problems go away. Besides, these days, acoustical fixes cost less than sound system fixes. As a caveat, our experience has been this. 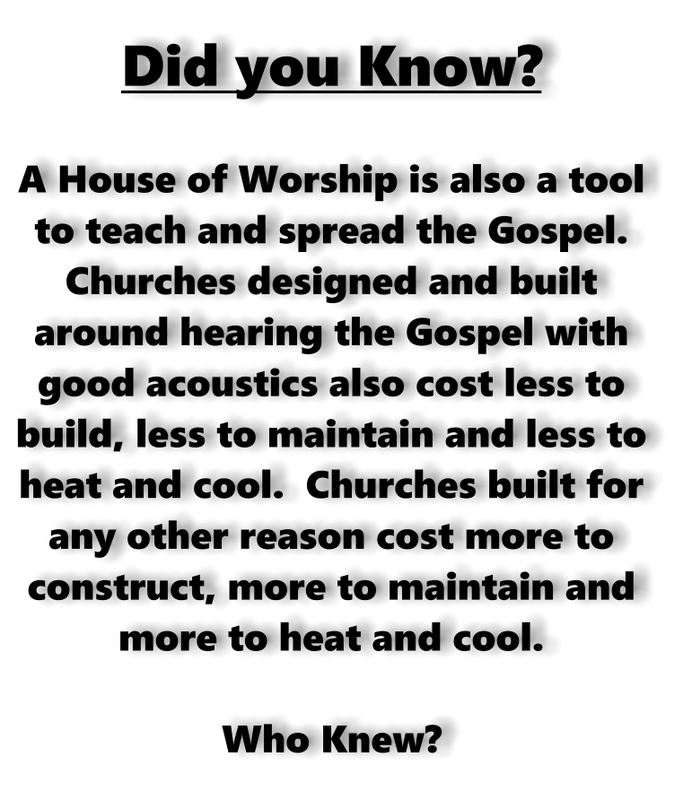 Churches that have fixed their acoustics and then wanted on to expand their music programs, they were able to upscale their sound system with a much higher budget as they upgraded, it actually lead to better performance rather than an exchange of one set of problems for another. Bottom line is, get your church properly tested. Have someone who knows how to properly diagnose the data, and then design your church a proper acoustical management system. Install the acoustical system and watch the congregation respond and grow. Don’t be surprised if other churches want to use your church for musical and recording events. Your property value may go up too. Note – The acoustical system is made up of 8 and 12 inch half round plaster covered foam diffusers on 3 walls. The side walls use a gradient pattern to maximize room performance. On the back wall there are 24 units of 7 ft. x 2 ft. x 18 inch plaster covered foam diffusers that are hollow which allows for additional passive room equalizing in the near future. Project completed by church members. Notice to all Clients of JdB Sound Acoustics. If you are in a new church building or you have done major renovations in your church, you will have to re-equalize the sound system many times in the first few years. Here is the Schedule you should follow. Second year – After the 4th month, 8th month and 12th month. Fourth year – after the 6th and 12 month. Sixth to tenth year, every 8 month. After that, once a year. It take up to ten years for most building to fully cure or longer depending on how much concrete and wood is used. For that reason, the humidity of the church becomes lower and lower as the church ages which also changes the sound of the worship space. Also, depending on the climate area you are in, you should be re-equalizing your church sound system for each season. more so the further you are from the equator. If you have a digital processor or mixer, you can have presets for the room changes. Most new Christian first heard about Christianity through a sound system when visiting a church or from TV or some other multi-media. Please write your comments below.